Growing Green: Stories from Growing Green Two Ways! Stories from Growing Green Two Ways! The anguish seemed to be located in the adjacent packing department. Right off, I judged the screams to be those of women in the packing line, where jars were filled with pickles and juice. I rushed over to their stations. They looked at me and yelled “Vinegar. 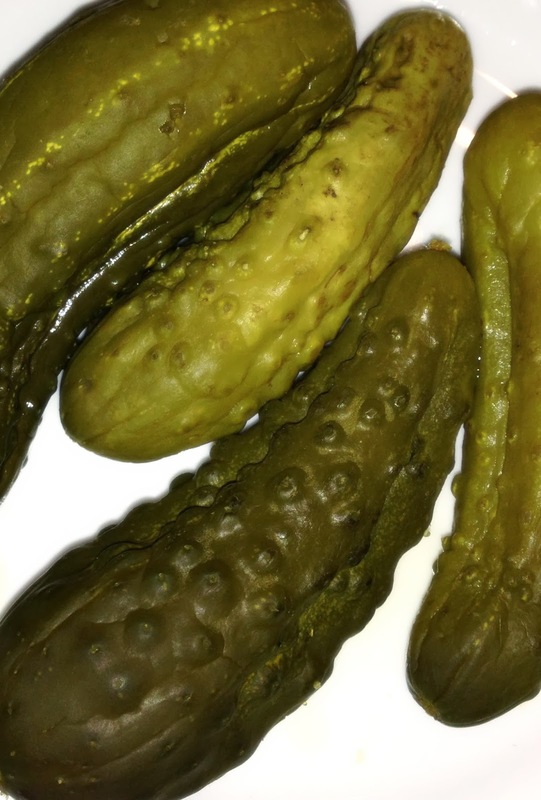 Vinegar.” Gamely, they kept stuffing pickles in jars even as vinegar dripped from the ceiling above. The superintendent of the pickle plant appeared, and by this time the vinegar flow had increased into a cascade. He put two and two together immediately and knew that a tank was overflowing on the roof ... I ran upstairs to the vinegar tanks and realized with an emotional thud that I’d miscalculated the number of gallons I’d pumped into the vinegar mixing tank. The bad news? Though I rushed to turn off the pumps, supervisors were forced to shut down the pickle canning line and send the employees home for the rest of the shift. The good news? They were generous with me, and I kept my job!